You are here: Home / Animal Training / So What Has Changed? 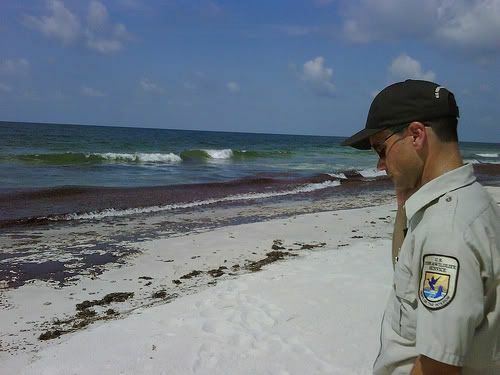 Above: Unified Command Unit assesses the beach after oil disaster. This week I am grumpy. Not just a little grumpy…really grumpy. Because in the thirty-something years in my career, I still hear the same ol’ sh**, see the same ol’ cr** happening, and wonder why the hell I don’t see big changes. After all, I got into this field to catalyze change. I can’t remember what started me on the grump spiral, but after the first thing it quickly began to feel like dominoes. You know, knock one down and they all begin to fall down one after the other? 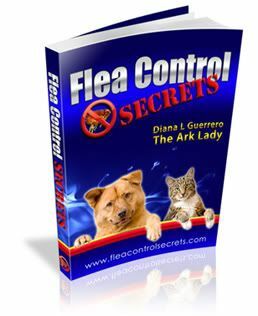 It might have started with someone who was passing judgment on another pet owner–a pet owner that lives in a rural area and that has feral cat issues. A rural pet owner who I passed along information to for feral cat help (Alley Cat Allies) over a year ago but still feeds the cats and allows them to breed and can’t really afford ongoing vet care. But, the person on the other side of line just got on a high horse and began to rant. Puh-lease. I am so sick of that. At least try and help or be understanding but don’t sit in your urban penthouse and talk about something you really know nothing about. First, unless someone calls for help–ain’t no sense in going down that road. Also, if you have read this blog (or have known me for any amount of time) you know that I don’t condone wild or exotic animal pets nor do I believe that wolf-dogs should be bred and sold–which I clearly outline in my wolf-dog series here. Plus, if it really was a wolf, the person would have to be permitted and inspected by the government agencies that regulate the housing and management of such animals. If that was not enough, I was then asked if I could again help find a home for a dog whose family never took any time to work with the pup and who decided they no longer want him. He is an adolescent and not neutered. Nobody EVER calls and asks if I know of anyone that has a dog they want to rehome. In the midst of this, my neighbor down the street emailed me to proudly say that they have 10 pups they want to sell–since they bred their dog. THEN, I stumbled across a series of comments related to why don’t people adopt more pets from shelters…I’ll spare you the details and only say that the rant of a lot of people shows no understanding of what is going on in the pet world at large. Who the hell gave us the Utopian idea that people would do what they “should” because it is the right thing to do? I don’t know but they should be shot. I WANT to believe people will do the right thing…but don’t let me forget to mention the BP fiasco, after two months of idiocy, the oil disaster is still a horrible mess. In addition to damaging the ocean environment and the multitude of animal and plant life that is suffering–it is posing a threat to the endangered whales in the area. To rub salt in a wound, this week a few countries were meeting to discuss the brilliant (sarcasm here) idea of starting to allow whaling again. So why am I so pissed? There might be a few reasons, but mainly because these are all the same issues that have been going on since I started my career way back in the mid-1970s. I hear the same ol’ questions, the same poor advice, the same mis-perceptions, and see the same mistakes–over and over again. Some things are better–I remember when the euthanasia numbers of pets were more like 20 million a year instead of 4 million a year–but it is still a problem. But when a local dog got hit by a car this week because the owner believes to dog needs to “be free” instead of confined, it was that last domino falling. All I can say is that I am mad as hell. Mad because I keep hoping to see the changes I’ve worked so hard to make happen–but in the end, it seems only like history repeats itself. So what has changed? Let me know in the comments. I know how you feel about all the above. Maybe my feel good story of the week will give you a glimmer of a smile. It started Friday when I was getting the same old story from an acquaintance- a cat abandoned and dying and no one would “help” this person with the cat. Of course, she wanted someone to come, capture it and euthanize it rather than help her help the cat. Since I am the volunteer coordinator for a monthly feral cat spay clinic I told her if she could trap the cat she could bring it and I would have the cat euthanized since it sounded really bad. When she got to the clinic I saw a really beat up abandoned pet. I asked if she could take it back if we found him free of disease. Excuses and a firm no. He tested negative and other than a URI and being kind of beat up he was fine and VERY friendly. I fretted about ending up with another abandoned cat but a friend of a friend was looking for friendly barn cats. The couple agreed to take this cat. But when they saw the beat up cat with a snotty nose who was purring and rubbing and kneading – so thrilled to be getting love and attention – they decided he probably should stay inside while he gets healthy. I hear it is going very well and all involved feel they are lucky to have made this match. In addition, I always feel good after the feral clinic. There are so many terrific people caring for animals abandoned by others and doing the right thing for them. We neutered 97 cats on Sunday. Thanks so much for posting your story. What a blessing to hear–glad you can understand and thanks for working so hard on the feral cat issue.